The collaborative economy is growing. In size, in usage, and in complexity too. It’s set to be a key economic component in the years to come as people use digital technologies to get what they need from each other. The collaborative economy is global. But its characteristics and conditions vary a great deal from region to region. 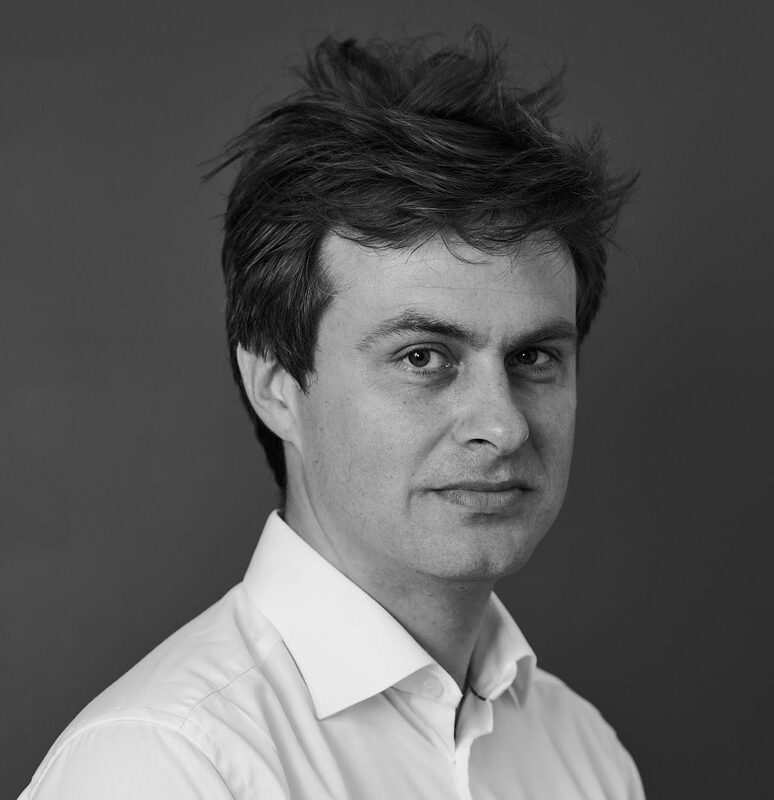 Last month, at Crowd Companies inaugural event in Europe, I spoke about how it’s fairing in Europe. So how is it fairing? The short answer: Really well. The maker movement is well underway and Fab Labs are popping up all across Europe, not least in Holland, Belgium, France and Spain. In addition, thousands of European sharing startups have seen the light of day. That being said, only a few of these startups manage to scale and truly prosper. That’s of course unavoidable for startups, but I do find that the inability to ‘make it’ in Europe is noticeable. The best example of a startup who has made it in Europe is BlaBlaCar. The French ride-sharing service now counts more than 10 million members in 14 countries and facilitates trips by 2 million people every month. “These kinds of companies do not happen very often anywhere in Europe,” said Dominique Vidal of VC Index Partners, one of the investors in BlaBlaCar. Another really good European example is BMW’s DriveNow. In select cities citizens can become members of DriveNow and access an abundance of BMW’s parked around the city – and leave them anywhere they like for the next member to pick them up. It’s almost like a membership of a fitness center. It’s access over ownership. And it’s a really good example of what large brands can do if they adopt the disruptive strategies and technologies of the startups – instead of trying to fight them. And BMW’s rationale behind it? In 2050 there won’t be enough space in the cities for all the cars. So instead of selling a thousand cars once they now aim to sell one car a thousand times. 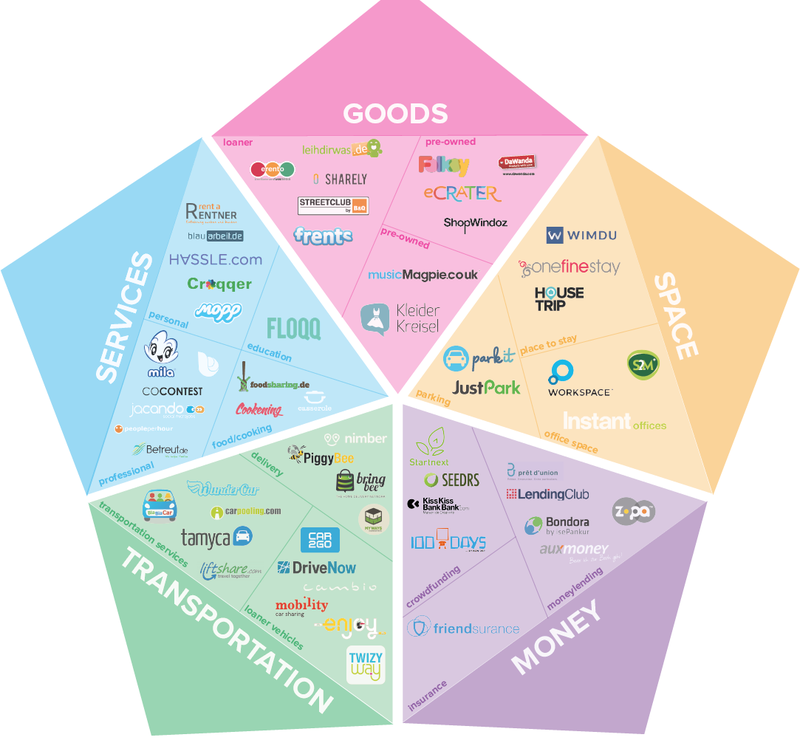 So what are the characteristics of the European arm of the collaborative economy? In my research I identified a number of key characteristics. In the following I will walk you through and describe what these are. 1) High adoption level. Europeans are more open to participate in the collaborative economy than say Americans. This was testified e.g. by Crowd Companies’ report last year entitled Sharing is the New Buying. The report found that UK citizens are sharing more than both Canadians and US citizens. Supporting this notion is the fact that we’re seeing a very active sharing startup scene across Europe, and that Europe is leading the Fab Lab scene. Also, Europeans are well-versed users of mobile and social. 2) Community-driven mindset. I think it’s fair to say that Europeans – in general – have a community-driven mindset. Historically, voluntary associations and groups have played a key role in how societies have been organised. A concept like the commons is also strong in Europe: The commons is what belongs to everyone, whether it’s common land or common values and resources (e.g. history, language, media). 3) Local governmental support. In Europe, there are numerous examples of local governments embracing and supporting the collaborative economy, ensuring advantageous conditions and policies for collaborators. Also, a number of cities have declared themselves “sharing cities”, e.g. Barcelona, Amsterdam, Lisboa, Vienna and Prague. Only the US and Canada has a higher density of sharing cities. 4) The European Union. 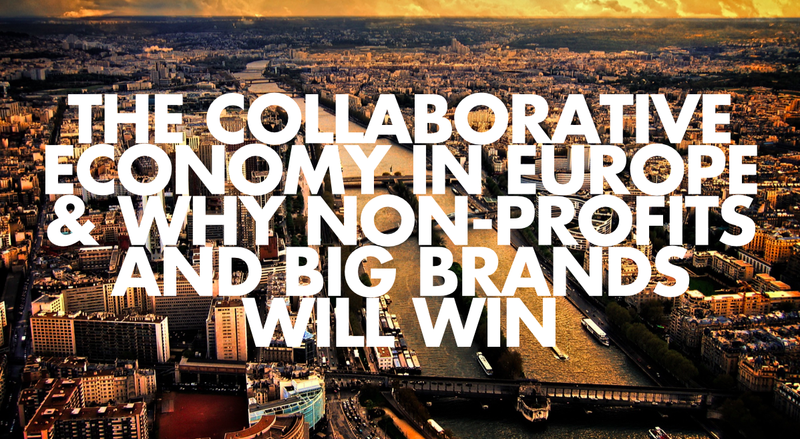 The collaborative economy has also earned the attention and support of the European Union. A number of studies and reports have been produced by e.g. the European Commission as the EU understands the need to regulate the market proactively and provide clarity to all the involved (and sometimes disrupted) industries. The focus on EU level is particularly important since Europe is a diverse continent marked by country specific regulations making it difficult for businesses to expand across borders. Hopefully, the EU will soon ensure proactive regulation across the continent. 5) Highly diverse. Yes, Europe is highly diverse. From East to West, North to South, no two countries are alike. For instance, I talked to one of the founders of Haxi, a Danish Uber-like startup, and he described how their app/service has taken off in Norway, but – to their big surprise – not in their home-country Denmark. It’s interesting since Norway and Denmark are vey much alike and often described as ‘brothers’: Even small differences in culture (and law) means a lot in this space. 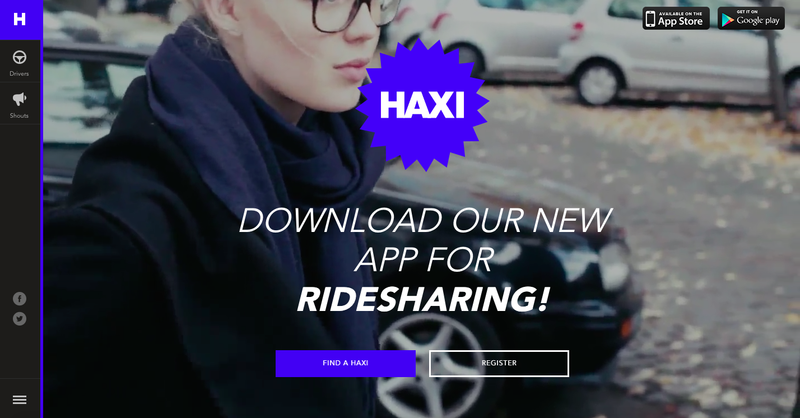 Danish Uber-like startup Haxi is doing much better in Norway than in Denmark – to their own big surprise. 6) Less venture capital. The vendor capitalist model is not as strong in Europe as in the US (most notably Silicon Valley). And not only is there less venture capital available, European entrepreneurs also seem to prefer to fund their own business the old fashioned way: Going to the bank and applying for a loan to fund the business idea. However, the debt crisis has made this approach a struggle. 7) Non-profit works. What works on the other hand is non-profit. Collaborative grassroot movements are successful in Europe where local food sharing, co-working and bike sharing initiatives looks sustainable. One example stands out from the pack: In Sweden, a ride sharing group called Skjutsgruppen grew out of a Facebook group and has developed into a multimodal transport platform. So no commercial interest (as far as I know), but simply based on a common need and interest to use social to organise shared transportation. The fact that grassroot and non-profit works shouldn’t come as a surprise. Whereas a brilliant idea of a business man might not be so brilliant after all, a solution made by the people for the people will work from day one (“it works therefore it is”). 8) Big brands are adapting. Apart from the BMW DriveNow example above, I should also mention DHL’s MyWays solution. In 2013, the German logistics giant launched MyWays, a crowdsourced delivery solution. The solution was launched as a pilot in Stockholm, Sweden, and although it seems to be losing momentum and focus from DHL (it’s still in pilot phase in Sweden) I think the basic approach is sound and just right. With MyWays, DHL has leaped forward and adopted a completely new logistics model into their business. Based on the above I feel urged to give a piece of advice to two of the impacted groups, namely the startups and the big brands. For the startups in the sharing economy in Europe I think they should re-consider if a classic startup and VC approach is right for them. There seems to be at least two better options: Either to go non-profit and focus only on how to help/collaborate with like-minded people via a platform; or to co-develop a solution with a large brand and benefit from it’s resources and ability to scale. For the big brands I think they need to explore the opportunities to embrace the collaborative economy by collaborating with or even insourcing startups and collaborators (e.g. sponsor a Fab Lab). Right now, it’s not about making a profit from it. It’s about the long term – like in the BMW DriveNow example. It’s a bit ironic: The less you focus on how you can make a profit the more likely you are to succeed. 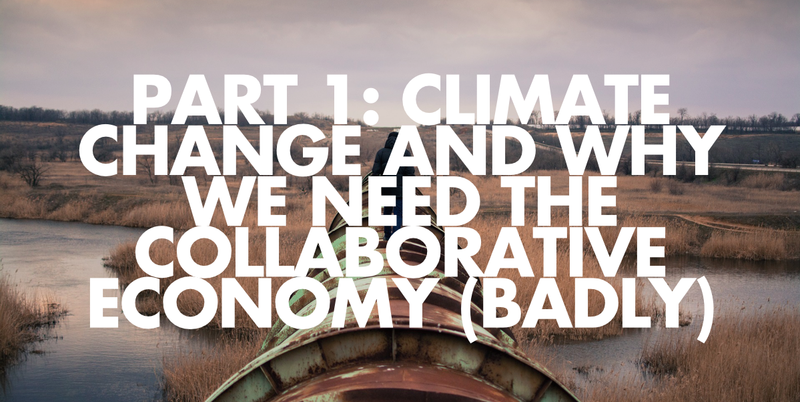 The collaborative economy is not a magic bullet – if you treat it as one. You haven’t mentioned CozyLift which is also a free ride sharing application.